Knowledge of chimpanzees in the wild has expanded dramatically in recent years. 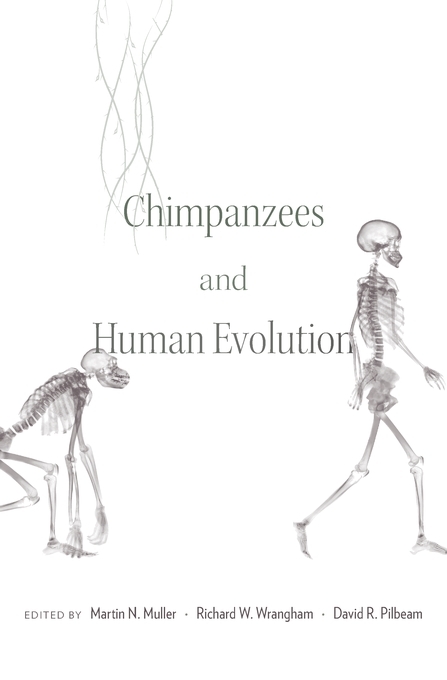 This comprehensive volume, edited by Martin Muller, Richard Wrangham, and David Pilbeam, brings together scientists who are leading a revolution to discover and explain what is unique about humans, by studying their closest living relatives. Their observations and conclusions have the potential to transform our understanding of human evolution. Chimpanzees offer scientists an unmatched view of what distinguishes humanity from its apelike ancestors. Based on evidence from the hominin fossil record and extensive morphological, developmental, and genetic data, Chimpanzees and Human Evolution makes the case that the last common ancestor of chimpanzees and humans was chimpanzee-like. It most likely lived in African rainforests around eight million years ago, eating fruit and walking on its knuckles. Readers will learn why chimpanzees are a better model for the last common ancestor than bonobos, gorillas, or orangutans. A thorough chapter-by-chapter analysis reveals which key traits we share with chimpanzees and which appear to be distinctive to Homo sapiens, and shows how understanding chimpanzees helps us account for the evolution of human uniqueness. Traits surveyed include social behaviors and structures, mating systems, diet, hunting practices, tool use, culture, cognition, and communication. 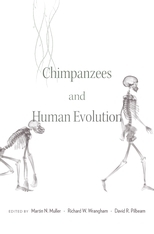 Edited by three of primatology’s most renowned experts, with contributions from 32 scholars drawing on decades of field research, Chimpanzees and Human Evolution provides readers with detailed up-to-date information on what we can infer about our chimpanzee-like ancestors and points the way forward for the next generation of discoveries.